Right on schedule, the HTC 10, Samsung Galaxy J7, and LG K10 are all available from T-Mobile. HTC’s new Android flagship is available for $0 down and 24 payments of $28.34 per month. If you’d prefer JUMP! 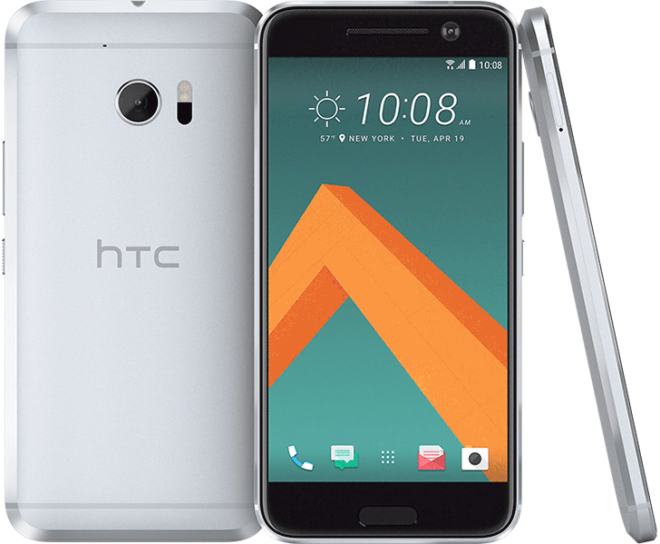 On Demand, you can upgrade to the HTC 10 for $0 down and $28.50 per month. T-Mo is also offering the HTC 10 for $679.99 full retail. To celebrate the launch of the HTC 10, T-Mobile is offering a free HTC Ice View Case and Rapid Charger with the purchase of HTC’s new phone. To get those gifts, you’ll need to buy the HTC 10 online, in-store, or over the phone between May 18 and May 24. You’ll then head here and submit info like your purchase date and receipt. Your free gifts will arrive in 8-10 weeks. Are you going to pick up any of these new Android phones? I’m going to wait for the ZMAX PRO. The ZMAX PRO looks a whole lot better and more bang for the buck. On my way to T-Mo over lunch to see if I can snag an HTC 10. I was hoping to get the K10 on JOD but it’s not, however the J7 is. The J7 looks like a solid device. I tried one out in a Tmo store. Slightly smaller footprint than my iPhone 6s Plus. Build quality is ok. Shame it’s not the 2016 J7 model. Yes J7 for me. Time to retire my Galaxy S 4G! New spectrum here I come! Will be interesting to experience LTE for the first time. And Marshmallow. Guess I try and root my old phone then and see how that goes. Ha, and I thought I was bad still rocking the S2! (although my S2 is rooted and using a custom ROM so I was able to dump all the Samsung and T-Mobile bloatware). Doesn’t take long to go from latest cool to back of the pack loser these days. One suggestion… find out how LTE phones are doing in your area, specially B12 phones, in some/many areas LTE is congested. If that’s the case you may need a phone with Carrier Aggregation. 700 MHz band s’posed be in effect this year in my rural area. And now they bidding soon on 600MHz for rural so I waited and waited and it looks like soon I will have some fast service at home. I travel for work so be nice to have LTE along the major highways too. I’m at the local tmobile store and they don’t have the htc 10 available. Interesting, they said they don’t know when they’ll get it. Stock is VERY limited to say the least. I wish this was properly conveyed to customers.. So I guess HTC doesn’t want them to be a hit? Weird. I just called a local one and they told me they won’t be carrying it!! They suggested big mall T Mobile stores to find them. ZMax Pro for the backup phone win!! Oh really? Is it that HTC hasn’t made enough available yet? What do you think they’re strategy is, to create a false ‘high’ demand by limiting output? If so, they are really not doing themselves all that much good in the long run, especially as badly as they are struggling. Not that either, I’m afraid. T-Mobile doesn’t have enough faith (yet) in this device. I think it’ll sell very well but I don’t think this limited availability launch is going to help the situation at all. Wow! Interesting ‘strategy’ on T-Mobile’s part. Limit its availability then say ‘see it doesnt have any demand’. You pretty much hit the nail on the head. We haven’t even received a demo at my store and I’m seeing that only 600 stores will have 10 or more. I seriously hope that people want the device. I know the initial reviews were pretty mediocre but I love it! (Especially after the last camera update.) I’m not sold on VR yet but I’m at least sold on the 10, so for now, I think anyone who’s even slightly interested should give it a shot. At the very least go check it out at a store if you can find one. Maybe the move for me will be to pay the extra bucks for the JUMP! program so that if HTC does pack it in on phones, I can get into another flagship easily. Although I hate the thought of paying extra for something I may never use. Oh, and I went to a Verizon store to see a demo…looks GREAT compared to what I have now! I just got mine, and I had to call two places to find it. They have almost NO information on this phone! I was greeted with the typical “these are selling out!” – though its the first day and I think I was the first one there to get one. The guy there had NO idea about the promotion either, so I had to educate them. I usually have a great experience at the T-Mobile retail locations, but this was sub-par. I’m currently doing the info transfer so I’ll see how things pan out. How is your current coverage in your area if I may ask? I was in Montebello and East LA shopping area’s and coverages is unbelievable faster 4 g LTE all the way as fast as 45 mbs! This was last month! Honestly there are only 2 to 3 dead spots around town, and they’ve actuallygotten better so far this year. I wonder if and when T Mobile worked on that. I know that their was some workers in that area I am not just sure if it was for those towers. Coincidentally I just got a marketing email from T-Mobile about how they have DOUBLED the coverage in the LA area. That boost might explain my lack of common dead spots lately! Thats what I did, I have JOD, and you can easily switch no headaches or anything even if the company stops making phones but I doubt, The phone is flawless. I had the s7 edge while being a great phone too , however the 10 is faster close to stock as can be, I miss Samsung Pay but I will use android pay, fingerprint is faster than iphone 6s plus. Battery is great, lightening fast charger, I just wish they had the Grey also but oh well and maybe a 5.5 inch but im comfortable with this, very solid, and I was tired of wiping the s7 edge off. Call quality and sound LTE is top notch. Also Tmobile LTE great as always, and I got the UE Roll BOGO was a great deal. OK, I called and they do have one put aside for me. Excited to get this done! Nice! Feel free to report back on it after you have it in your hands. I also recommend checking your screen for excessive pink before leaving. They do not all have the issue. Oh yeah, good call! I have read about it and I will look out for it. *For some reason when its on WiFi, it won’t display Twitter pics. Its fine on regular mobile data. *Though I have no phone connection on the old handset, its still able to get mail/weather data when its on WiFi. Is that normal? I’ve never seen that on an old phone once it’s SIM card is removed. *I need to get a new headphone as the ones I have now have a minor short in it that my old phone would ignore. This phone music player (Poweramp) shuts off whenever the short comes in. NOT the phone’s issue, but its my issue. HAHA! I am dreading getting a case for this phone as its beautiful as it is…but I’d rather sacrifice some of that to be sure it won’t be damaged on the inevitable first drop. REALLY looking forward to those JBL headphones that will run through the USB-C port. I bet it’ll be killer! People have already told me the phone connection sounds better too. That’s not the strategy at all. If the phones are great, people will demand them and then they’ll be more widely available. If it’s like the M9, T-Mobile doesn’t want to have to take a loss discounting them. You should call the store first. Not all the T-Mobile store will carry the 10. At least at my district (North Dallas) only 3 sout of 10 stores will carry it. I did call 3 of them and they some of the reps were surprised that they never ever heard of the HTC 10 and in my last call this nice girl was like yes we have few in stock so that was nice I didn’t have to wait for delivery or any of that..
Order online. Save yourself time, and aggravation. Everyone has their preferences, but to me if it’s not stock Android I don’t touch it. I prefer stock Android for all but the dialer. Samsung and LG both are better in that department. You can have any mobile OS you like so long as it’s Android. WP is pretty dead I’m afraid. Be happy T-Mobile at least carries 1 phone. Google bet on fools, and the fools won. At least on some carriers. Windows Phone is a bust for now. Microsoft stuck it to HTC One M8 for Windows device owners when they and HTC promise us the upgrade and it has the specs to run it; I’m sick of this crap, yet it runs the device builds and look, I’m not here to debate Android vs. iOS vs W10M. I like the fact it’s UWP, not here to start the WWIII debate on OSs, thanks! But ill you bet! Yeah but for some reason my wasn’t working after the update, calls would drop, and it wouldn’t let me stream any music which it was quite annoying through the year I had the phone I did over 3+ factory resets on it. So they expect people to buy the phone today and wait 8-10 weeks for a case? That is unbelievably lame. The HTC needs some launch help and this is not going to be near enough. The least they could do is give you the case and charger in-store. My crystal ball says the HTC will be on deep discount in 8 weeks. Not that it’s a bad phone, it’s probably a good phone, but that will not be enough. I am on my COSTCO 90 day window on the S7 but this is not enough to give me even the slightest desire to switch. I found out it is an exclusive about 7-8 months ago to Verizon and AT&T I was so made actually I am still made I personally like leather sports watch chrome it runs at $499.99 it’s a stand alone plan that includes unlimited talk text, and web! I want it however I am not paying $500.00 dollar’s up front! I rather buy another phone and hope one day it comes to T-Mobile no other carriers do Accessories Equipment Installment Plan like T-Mobile USA! I should have bought Motorola 360 when I had the chance just to have a smart watch for now I don’t like Samsung’s echo systems on its smartphone watch it will never compare to Android echo systems integrity, intuitive. I am glad you like it too! Their is so much VZ ATT do to stop T-Mobile from raising to the top 2 biggest challenges that is one big problem T-Mobile has to face can they get a guarantee to sell if they get a shot! Just like the Sony Xperia Z exclusive to T-Mobile it went great at the beginning, however Sony Xperia did make a blow to major league smartphones they needed a lot to have someone want to buy their product. Motorola’s watches made a mark on smart watch industry, but their is a huge competition! I just hope LG Watch Urban 2 comes to T-Mobile in future! I think that the $5 cost a month is something I would like to see the difference in each carrier or at least figure what different things are offered. $499 buys you a lot of phone these days… unless you’re Samsung or Apple that needs to be your target. No stores in Phoenix got them in today. Wow and I thought I was the only that has problems with rhapsody! I have a Ford focus 2015 and the rhapsody app crashes quite often and considering that I have paid for the $45 internet plan that includes rhapsody! I can’t believe it cause so much havoc that I just decided to just go to Pandora. Why would I pay that much for the HTC 10 when the Note 6 is around the corner? I think I’ll just order a ZeroLemon 8500mAh battery case for my Note 5 so it will get me through til the 6. I wouldn’t. And I’m willing to bet most won’t be doing so either. HTC is insane charging that much. I’ve been a fan of HTC devices for years, owned many of them all the way back to Windows Mobile 5, but they have seriously lost their minds. as for now. maybe not forever. speaking for the moment. continue to support with encouragement for further future improvements. Yes that have lost their mind. They cant compete with Samsung at this price. I bet in a month, it will come down to $499. You’ll be waiting a while. it’s called jump just turned in s6 edge plus, I’ll give it 14 day’s but from various sources I think it’s a keeper….. I respectfully disagree… I for one, have avoided TouchWiz devices like the plague, and to date, have never owned a samsung phone, nor do I have any interest in one. Wow! If I may ask what did you think was the best features and multi task phone hardware of all HTC lines? The M8 was really the best phone HTC ever made. I didn’t have any complaints with mine. The M7 overheated too much. I personally have always loved Sense. It was the first custom UI introduced (back for Windows Mobile as a matter of fact) and it was perfectly balanced in the M8 between performance and functionality without sacrificing much of the Android experience. In comparison, I can’t stand TouchWiz but HTC refuses to put out a decent phablet so I jumped to the Nexus 6 and then the Note 5. If they dropped a phablet at this price, I’d buy it. I agree the note 6 might be a super phone. There talking 6gb’s and a 823 processer. I’m sure the battery will be as good as the edge. The 10 is overpriced with no wireless & waterproofing. No thanks. I paid off my edge in case I fall for the note 6!!!!! Yeah the 823 is just an overclocked 820 (binned of course), I just hope they don’t encrypt the bootloader again. I wouldn’t mind if Google had a way to back up all app data, including my authenticator data (3 in the Google app plus I have Battle.net and Steam), I wouldn’t fuss so much about not having root but having to spend hours reinstalling apps and some of them not having Facebook or Google Play connectivity means losing data… That’s a pain. The problem is my Note 5 battery is shot. I need to upgrade soon. I have one jump credit now and another coming in November. I was thinking about getting a ZeroLemon battery case until I get a new phone. I’d call T-Mobile and swap it out under warranty but I heard they don’t take KNOX tripped phones anymore. I am assuming the SD CARD can run apps, store’em, plus see as internal memory right and have iR Blaster? Looking to get a new phone for my daughter. 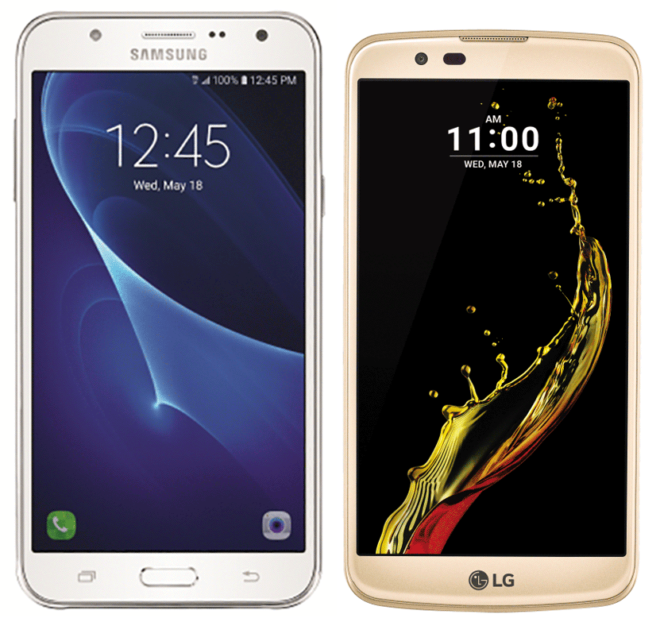 Deciding between the LG K10 and Samsung Galaxy Grand Prime. Which one would you choose? I’m not spending $300-400 on a glorified gaming/YouTube device. $199 when you sign up for and immediately cancel GoogleFi service. Gaming virtually cannot be done on those low end phones. You’re much better off getting an older flagship model. The Nexus 5 (no band 12) is $120, Galaxy S5 is $180, Note 4 is $260 all at the MyWit eBay store. This is the insurance company’s outlet so it’s all refurbs, but still much better in my opinion than buying one of these low end devices. None of those phones have band 12 (except the 5x), so they are out. I can get the Galaxy Grand Prime for $120 from Wal-Mart, and that’s currently my benchmark. And I couldn’t care less how good the gaming experience is on these phones; she plays them, I don’t. She currently plays Minecraft Pocket Edition on an HP TouchPad right now without issue, so I imagine the Grand Prime and K10 can handle it pretty easily. If you can get the 5x for cheap but remember no sd card for storage. Is it a first phone? The grand prime is only 8gb’s. The k10 may be better and also has an sd card slot you can buy!!! You can wait for the K10 reviews and full specs. That way you’ll also teach your daughter to be a smart shopper. A frustrating experience. I went to three T-Mobile stores here in Oklahoma City before finally finding one that had it in stock. Once there, they weren’t even aware the Ice View case and extra charger were to come with it. um… you use your receipt/proof-of-purchase and then apply for the items online to be mailed to to you in 8-10 weeks. I had a similar problem here, for it being in stock. Heck, this store didn’t even know that it was launched yet and said I could pre-order it. That was Friday. I bought the HTC 10 not from T- Mobile but through HTC and told them since Verizon was selling the phone for 550.00 I wanted them to price match and HTC did. so I bought my phone from HTC for 550.00 I think it’s disgusting that T-mobile thinks they squeeze out more than 550.00 because of a 50 dollar case that costs 5 bucks to make? that they are throwing in for free? You aren’t paying attention. Tmobile isn’t charging extra for anything and claiming they are freebies. You got lucky and got a price match. The phone is $699 unlocked from HTC and $679 from carriers. Trying to apply promo pricing to take a dump on Tmobile offering freebies is ridiculous. I also find it hard to believe HTC matched Verizon pricing to begin with. The best we had from them was $599 with promo code on the pre-order. If you work at a school district you can qualify for a $60 promo code and use it on any phone over $200 on T-Mobile.com. That’s what I’m gonna do for the 10. I saw the HTC 10 at the T-mobile store. There is something about the screen that does not have deep contrast. It just wasnt black enough on the screen. Same with LG phone and others. Its unlike Samsung phone which has deep blacks. Yes, it’s the amoled on Samsung phones. Basically on amoled’s, when the screen is black, the power is shut off to that area. On LCD phones, black is just being projected as a color black but there is still light. LCD phones though have colors closer to real life but amoled’s can be tweaked so the over saturation of amoled screens are tempered. Yeah, I bet tmobile underestimated the interest for the HTC 10. Just ordered my HTC 10. I know the offer expired but HTC’s site took it so we will see. Never hurts to try.